Thank you for your interest in Our Story! We have been in business providing delightful, innovative retail products and service since 1986 and now have three generations serving our clients. As a family owned and operated corporation, we have a keen interest in providing our friends, families and customers with the very best choices available and that means great taste via healthier snacking in reasonable portions. As a whole, we have recognized some preferable snack choices were missing at retail and convenience stores we regularly shopped. Candy products were displayed in small portions while healthier choices were presented in larger and higher-priced packs. This presents challenges for those trying to find healthy snack alternatives that are great tasting, high-energy, reasonably portioned and fairly priced. That offered a tasty opportunity and in 2012 MC Squared Brand Energy Snacks was born! Control calories and get energized the natural way with coffee beans, fruit, nuts and dark chocolate. 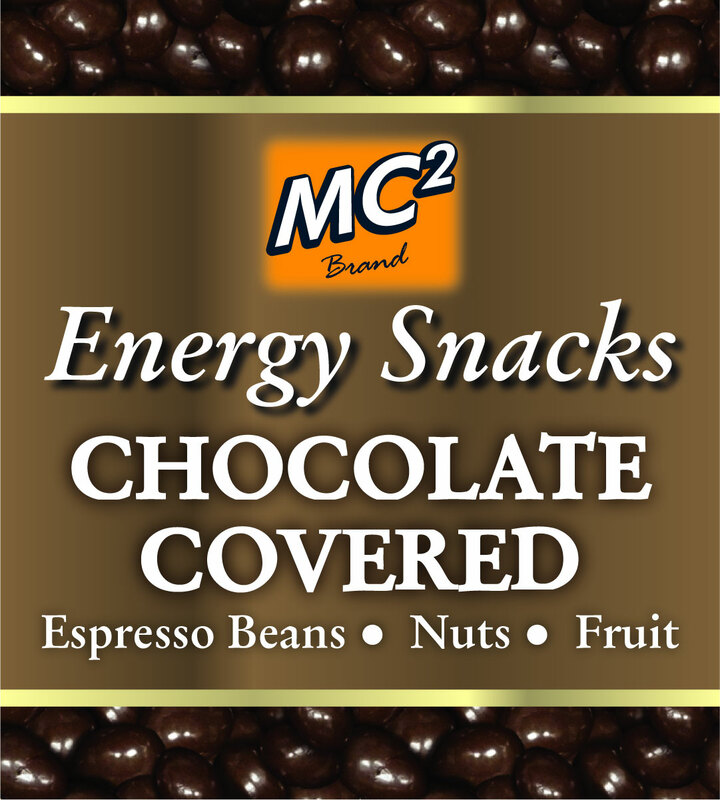 MC Squared Brand Energy Snacks provide the energy and pick-me-up that everyone needs, while at the same time offering healthy alternatives, portions and the most varieties for any modern snacker. Get your Zip On with MC Squared! To see available products or where you can purchase MC Squared Energy Snacks, visit InstantEnergySnacks.com.